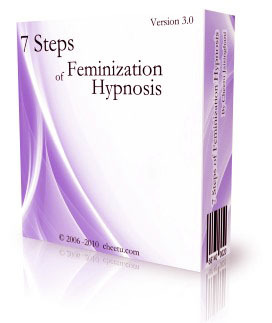 How to test your Hypnotizability? Sit upright on a chair. Hold your hands palms down in front of your chest. Slide your hands towards each other so your fingers interlace until they touch at their base. Let your palms come together and wrap your fingers around them, fitting perfectly between your knuckles. Imagine something is making your hands stick together. Maybe they are magnetically attracted to each other. Above text is the excerpt from one of the three hypnotizability tests included in this (FREE) audio. And you have so many years of your mind being a boy that sometimes it becomes very difficult to see the beauty that’s in mirror. As a result, your conscience resists matching with your outwardly transitioning physical features. And unless your male conscience grows and become mature to accept your intrinsic need of feminine identity you’ll be in constant struggle at both ends, outside you’ll be struggling with your own society and inside with your male conscience.